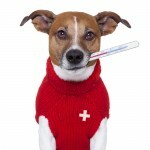 At Vale Vets we know that pets don’t just get ill during surgery hours. As a client of Vale Vets you can be assured that if your pet has an emergency, whatever time of day or night it is, a dedicated team of veterinary nurses and vets will only be a phone call away. To this end we have set up a dedicated 24 hour emergency vet clinic, The South London Emergency Clinic (www.southlondonemergencyclinic.co.uk). The facility is only 5-10 minutes away from the Streatham Vale Veterinary Clinic, so if you’re looking for an emergency vet nearby to Streatham, Mitcham, Croydon Norbury or surrounding rest assured our 24 hour clinic is only a short drive away. 24/7 ACCESS TO YOUR PETS CLINICAL RECORDS – ONLY AVAILABLE @ VALE VETS! We are happy to announce that your pets clinical histories will be now be available 24/7 to the South London Emergency Clinic – offering you the best possible care at the most difficult of times. 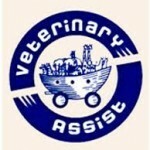 WE ARE THE ONLY VETS IN THE IMMEDIATE AREA THAT OFFER THIS INVALUABLE SERVICE! – All you will to do is notify the staff at the South London Emergency Clinic that your pet is under the care of Vale Vets.